View cart “Forrest Fang: Scenes from a Ghost Train (limited CD)” has been added to your cart. There’s a Steve Roach article in Psychology Today: 2019 Grammy Nominee Is A Synesthete. Steve talks about his career and second consecutive Grammy Nomination in Tucson Weekly! The ebb and flow within Mercurius emerges from its own space and time moving beyond ambient, immersive or drone-based pieces. Masterfully delivered, Roach’s singular evolving language of contemplative soundworlds arrives at a place of deeper refinement. Through the stately, profound pacing of chordal harmonic structures the diaphanous suspension and release of the four movements breathe with exquisite grace and depth. The ambient genre has never been more alive, it seems, than today. Decades after its birth (to the degree that a date of origin can be fixed), recordings continue to pour forth at an amazing rate. Recent releases by long-standing practitioners Erik Wollo and Steve Roach provide a good representation of how things currently stand and show how artists associated with the genre individuate themselves while staying true to the fundamental principles of the form. Philosophical themes relating to time, space, and infinity are common to both, and though indexed tracks are present, each assumes the character of a long-form meditation. 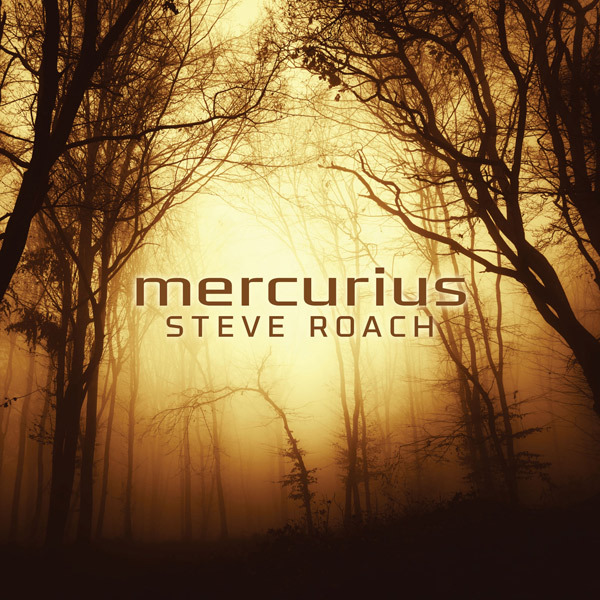 Steve Roach’s Mercurius is purer still. 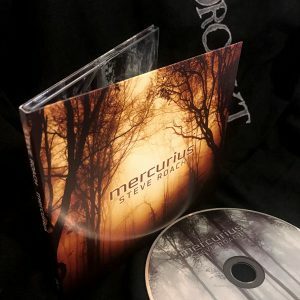 Some of his recent output has been in a ‘tribal ambient’ style; with beat patterns and fixed rhythms wholly excluded, Mercurius is its polar opposite. Presented in four movements, the long-form recording is pitched as a “soulful resonation upon the ineffable,” a characterization that offers an immediate indication of the kind of spiritual territory Roach is exploring; similar to the other two releases, we’re again dealing with concepts of temporality, existence, and non-existence. “Liminal” introduces the album with seven exquisite minutes of vaporous synth textures that unfurl in quietly majestic manner. Flirting with atonality in its unpredictable melodic trajectory, the material exudes an enigmatic and mysterious yet at the same time becalmed character. In this opening movement, the music’s polished surfaces lend it a glassy quality that the subsequent “Immanent” exchanges for something hazier, its stately, symphonic unfurl as nebulous as a cloud formation inching near-imperceptibly across the sky. That epic, twenty-eight-minute movement is almost equaled in length by “Aeon,” whose shimmering washes hypnotically swirl and murmur for twenty-four, after which the graceful title track revisits the hymnal tone and style of “Liminal” to ease us out. If ever the word susurration could be applied to an album, it’s this one, with Roach’s material presenting itself as a seventy-four-minute whisper or sigh. When those reverberating synth washes unfurl as magnificently as they do during “Immanent,” Mercurius is as sublime as ambient music gets. The opening chords of “Liminal,” subtitled “At the Threshold of the In-Between,” is indeed like the process of moving from consciousness into slumber and onward to dreams, sometimes those three elements intertwine and take turns until the mind is fully removed from reality, stepping over the threshold into a new place where your imagination has been replaced by a guiding host. The dreamy chords move forward and back for a little over seven minutes, blurring together until silence falls and we cross through the next portal. “Immanent” removes the tension of the first cut and moves the listener on to an open celestial space, the soul untethered from all restraints of body and mind. I’m not sure if this was Roach’s intent but he has certainly duplicated the feeling of letting go so precisely. The master takes your spirit up the mountain where you are free to become one with the sky and the stars, for 28 minutes at least, which I’m sure is probably long enough. Trentasette anni di onorata carriera ed una produzione discografica che supera i 150 titoli sono l’attuale biglietto da visita del decano californiano Steve Roach, che chiude il suo personale 2018 con Mercurius, quinta fatica sulla lunga distanza nell’anno appena trascorso. Ancora una volta sotto l’egida di quella Projekt che ne condivide le sorti sin da metà anni ’90, il nume tutelare dell’ambient music realizza l’ennesima fatica discografica prendendo le mosse da una concettualità tipica del genere, ma come sempre sostenendone sia le intenzioni che il tema stesso con adeguati e confacenti contenuti sonori, a differenza di quell’arte moderna che, se spogliata di un titolo, non andrebbe in alcuna direzione. 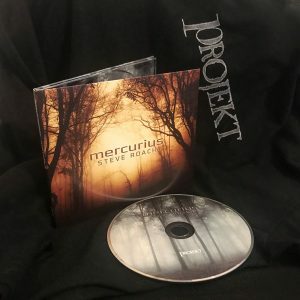 Queste le note ufficiali che ben veicolano il messaggio dell’album (racchiuso in un essenziale digipack): “Mercurius è una risplendente espressione sonora sulla psicologia e sulla spiritualità dell’impermanenza e sul trovare conforto negli spazi liminali nel mezzo. Andare oltre la sicurezza di nominare le infinite sfumature intrinseche all’essere umano è solo uno dei fili dell’intenzione intrecciati in questa musica. The outstanding quality of this album, for me, is its majestic and stately, yet closely-restrained, symphonic nature. This has been an element of Steve’s atmospheric work all the way along, especially building up through The Magnificent Void, Mystic Chords, Dynamic Stillness and Sigh of Ages, and which has reached its perfection here. Steve’s hand on the controls seems more focused than ever, as it would be easy to let the sound just sweep us away. Instead, perfectly guided, the current swirls calmly around us. Beautifully done – highest recommendation! American progressive-electronic/ambient composer Steve Roach divides his releases these days between rhythmic-based energetic discs (often highlighting his vintage/Berlin School influences) and more unhurried ever-expanding long-form works, with his latest, 2018’s Mercurius being one of the latter. It holds plenty of those ever-reaching and subdued ambient caresses the artist is known for, but is performed with the endless grace, keen intelligence and complete sophistication that only comes from a lifetime of honing his craft. Roach describes this album as a meditation and reflection on impermanence, and that balance of appreciating the moment, looking back in both gratitude and regret, contentment with the present as well as excitement and apprehension of what’s to come is all kept in perfect unison, with the disc never being overwhelmingly uplifting nor too melancholic. For an artist that frequently works in electronic drones of the most minute of perceptible changes, `Liminal’ instead is constantly undulating and weaving with sweeping synth lines of constant movement that drift and swoon with inviting beckoning and comforting romance (it’s even ever so slightly whimsical too! ), and being a shorter piece at seven minutes makes for a more approachable and easily-welcoming opener. There’s an orchestral-like elegance that sustains throughout the hauntingly mesmerising `Immanent’, its ethereal ambient embraces stretching on to lulling infinity, and its carefully emerging shimmering finale quivers with the possibility of life and love. `Aeon’ soundtracks the ups-and-downs, the unpredictability and reality of life itself, drowsy and lightly disorientating in its opening minutes with an infiltrating unease, before expanding out with unravelling bursts of awakening light that proves almost overwhelming in its intensity. The closing title-track `Mercurius’ holds a pensive air of placid rising and retreating synth pools that ultimately reveal renewed strength and self-belief, lifting even higher in the final moments that prove defiant and victorious. This probably isn’t the place to start for more green prog-electronic/ambient and Roach newcomers, nor will it likely click with listeners who prefer the man’s more driving and dynamic compositions. But many of those established Roach fans who connect with his carefully building percussive-free collections will discover a very special and deeply moving electronic work here full of contrasting emotions, and Mercurius proves to be poignant, deeply immersive and exceptionally powerful.